Make Your Own Birthday Cards! 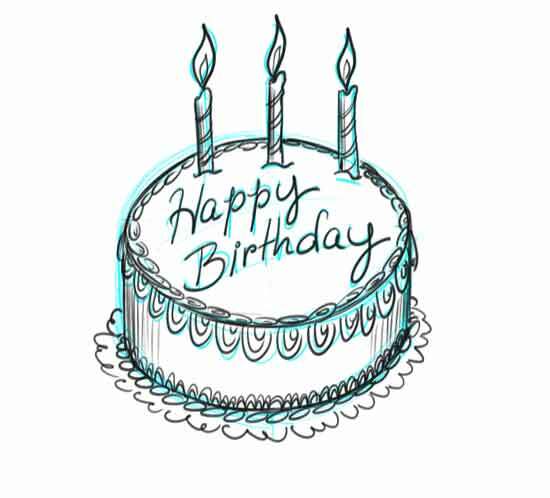 Learn how to draw a Birthday cake so you can Make your own Birthday Cards, birthday banners or make your own birthday invitations. If you're a kid and you want to make a birthday card for an adult. You have come to the right place! Growing up, I made many Birthday cards for my Mom and Dad. Now I enjoy making them for my kids. A store-bought greeting card is certainly something special but nothing beats your original artistic masterpiece when it comes to Moms and Dads! 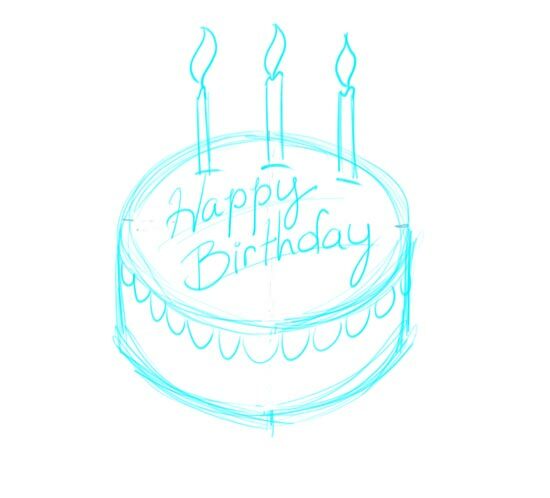 If you want to know how to draw birthday stuff and how to make a birthday card, you probably want to know how to draw cake. Almost everyone likes cake! and almost everyone likes getting cards. Cake and cards go together like peanut butter and chocolate! 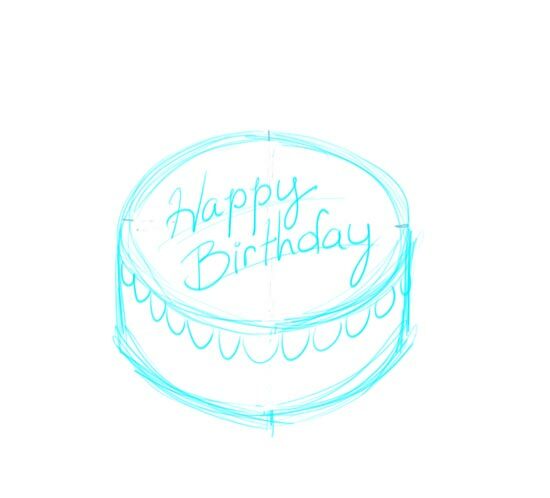 In this online drawing, lesson, you will learn how to draw a traditional round birthday cake. You can imagine it to be white cake, yellow cake or dark chocolate cake because we will only be drawing the outside. Trust me, It may look good enough to eat, but all you'll end up with is a mouth full of paper if you bite into it! Making Your Own Birthday Cards. If you are planning to draw on the outside of a homemade Birthday card. Take a sheet of 8.5 "x 11" paper and fold it in half along the long edge. The card typically will open to the left. You can use regular copy paper, but if you have card stock or construction paper, that will work great too. Even if the paper already is colored. Now let's get started with drawing a cake to "Make your Own Birthday Cards." 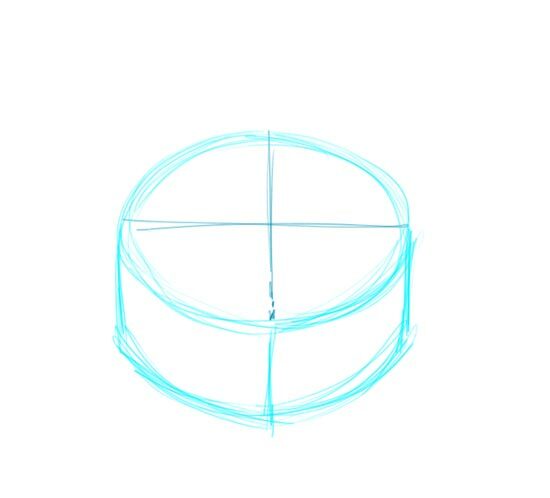 To begin the birthday cake drawing, we need to know how to draw an oval. One way to draw an oval is to begin with a plus sign on your page. Making one direction longer than the other. 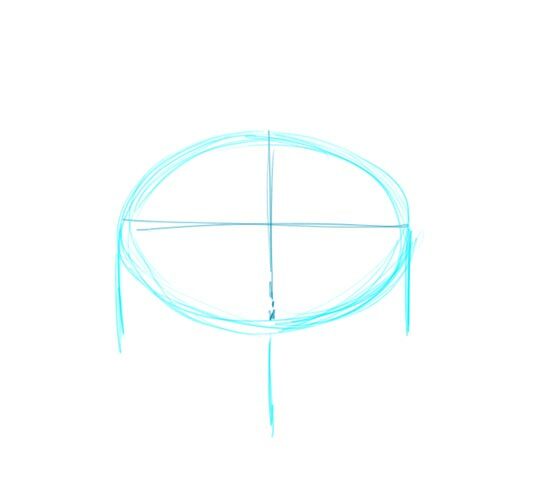 this This establishes the extreme points of our oval which will give our cake drawing perspective. (Make it look 3D). 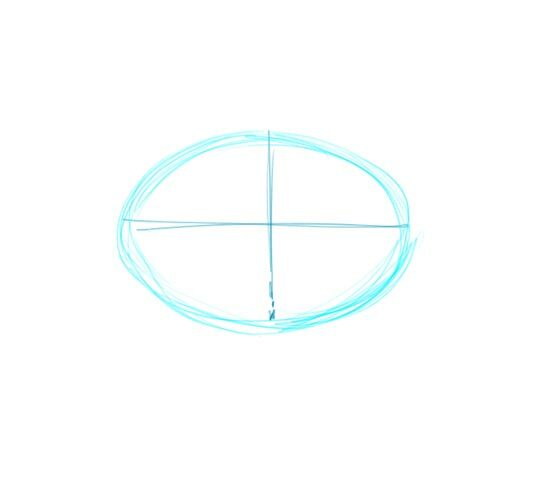 Using the plus sign as a guide, sketch in the canvas of the oval. H this seems tricky. at first, just Keep sketching until it looks night. You certainly can erase and try again. Drawing iii perspective and drawing oval shapes takes practice and patience. Now that you have established the top of your Birthday cake, extend 3 lines down from the oval to help your place the bottom edge of the cake, The lines should be roughly equal in length. 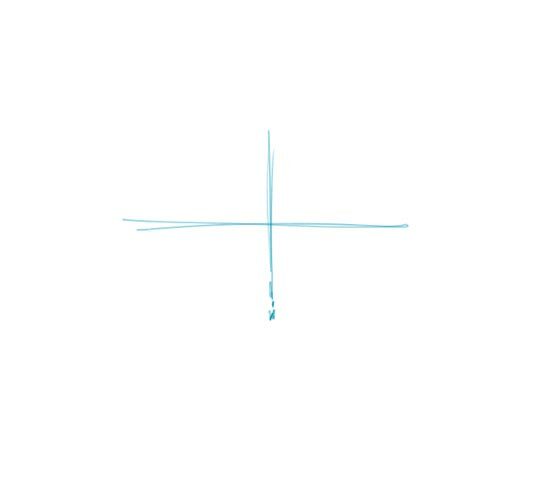 Using Yom lines as a guide, sketch in the bottom edge of the cake. Try to copy the curve of the cakes top. Now that you have the hard part Done, its time to decorate your cake and personalize it. Add some guide lines on the top of the cake to write your Birthday Message. Your May Want to add a name to your cake under the word Birthday! Add birthday candles to mark the appropriate number of years. If you need to add a lot of candles, you may Want to consider drawing 3D Numbers on top of the cake. For instance, you could draw a big 25 with a flame on each letter. M your making this card for your mom and she is older than 25, You can still put 25 on the cake and just add the Words "and holding" beneath the numbers. Trust me on this one! St will work!. All that's left now is to finish decorating you beautiful birthday cake and outline it in marker or pencil. You can create the look of frosting by drawing little curves along the cakes edges. To keep the cake looking dimensional make the curves of frosting narrow as you approach the back edges of the cake. Well It looks like you are done! Color your cake however you like and Congratulations! To make your own Birthday Cards even more special add a personal message inside! For help drawing the 3D Numbers, off try the How to Draw 3D Letters Lesson. For help drawing or coloring the Candle Flames, try the How to Draw Flames lesson. "Make Your Own Birthday Cards!" 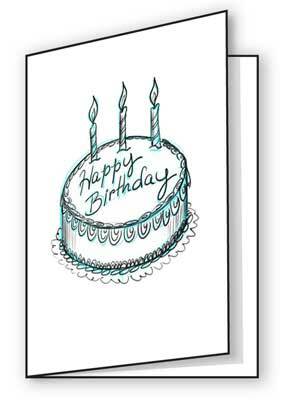 Online tutorial for Make Your Own Birthday Cards with clip art.